15 great activities in one little bag! Make up a pile of Insta-Snow®. Experiment with water-proof sand. Use the sun to make white beads instantly change colors. Grow a test tube dinosaur. Learn how to make water disappear. 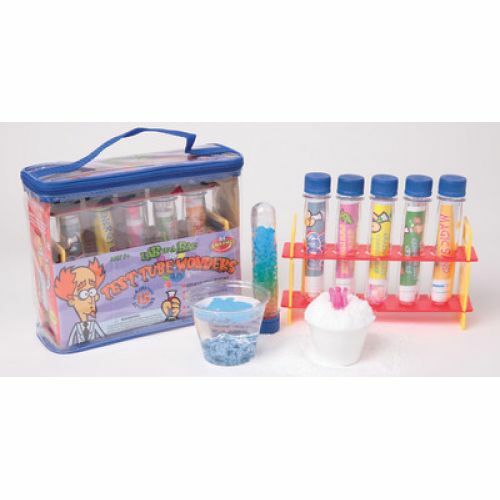 Make squishy jelly crystals, color them and make your own rainbow tube.